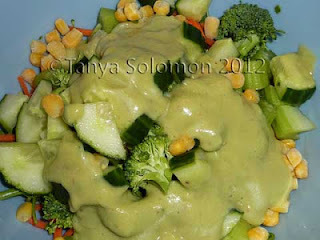 Avocado dressing is the best! I especially love the fact that you don't need to add extra oil to have a satisfying mixture. I usually go with miso and ginger, but I like your spicy, straightforward approach.